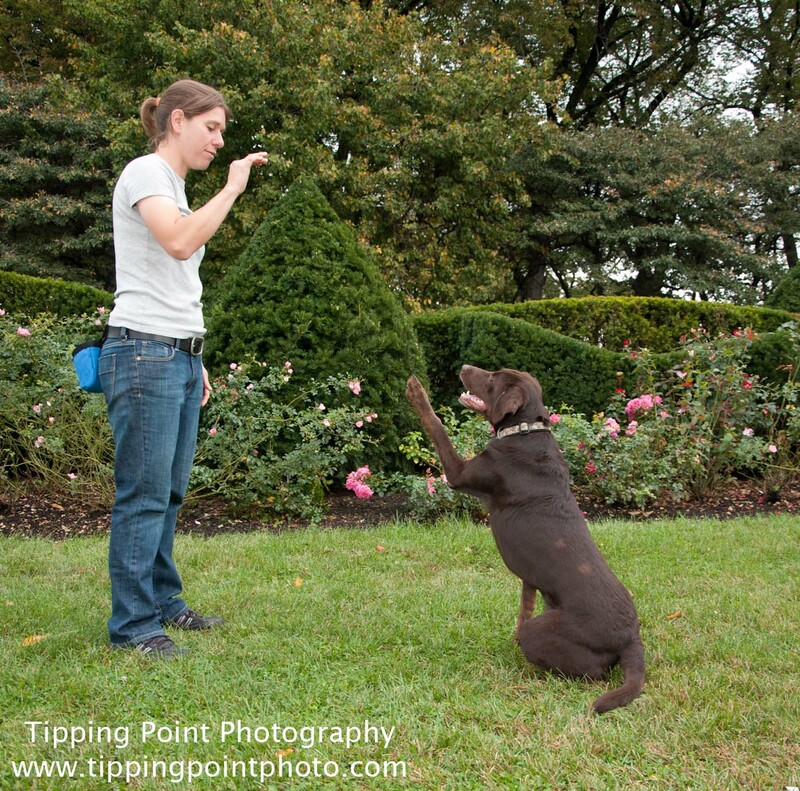 Sports for the Urban Canine: Wave! This is a variation on the high five. 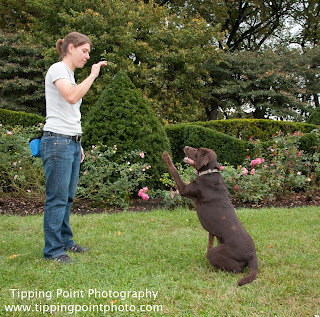 If your dog has a solid high five you can place your hand up as if to ask for a high five, but keep your hand just out of reach. If your dog won't offer the behavior on hand cue alone you may do what's called 'new cue, old cue'. Raise your hand and cue 'wave' then 'high five' or whatever else your high five word is. Pretty soon your dog will be offering the behavior on the cue 'wave' and you can drop the old cue. As you progress you can move your hand higher and higher, eventually ending in a standing position and perhaps even adding distance. If the wave begins to go limp, just got back to some close reps and remember to really reward those rockin' waves with special stuff.